I started blogging in November 2011, and my first monthly recap was in February 2012. I used the same format for four months, and then came summer 2012... I stopped blogging in July, and I didn't return until December. February 2013 is when I first started writing monthly recaps using the format you've seen for the last two years: Books Read, On My Shelves and On My Blog. Whether or not anyone looked the posts, I found that it was a nice way for me to look back and reflect on each month. But lately, I've been itching for a change. I noticed that my favorites recaps were the ones that went beyond just books. I planned on keeping (in some form) the three categories that I typically include in my recap, but I wanted to expand the post overall. I wanted to have a little more about my life - or what's happened during the month beyond the bookish things I've always shared. But I wasn't sure what exactly was missing! So, I started doing some research to find inspiration. 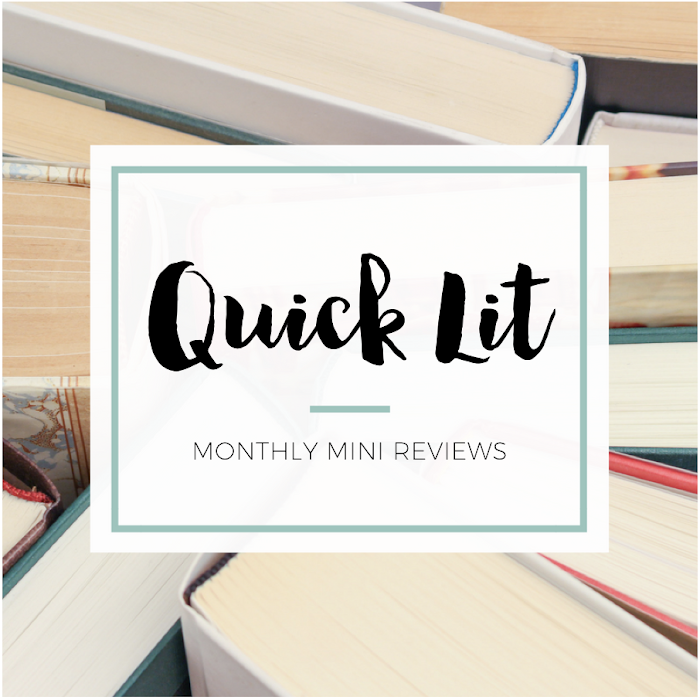 I looked at some of my favorite monthly recaps to see what I liked about them and why I spent more time reading them. With all that inspiration, I knew what information I wanted to include in my new recaps. The next step was to think of my category names - I'm a sucker for a theme or consistent format. I settled on "What I _______," and I'm excited about the revamp. I know that adding new sections will make these recaps longer, but I'm hoping that the clearly defined sections will make it easy for you to just scan and read what catches your eye! A little bit about what's going on in my life. Bloggers that included this type of update are the reason I wanted to revamp my recaps in the first place! I almost called this "What I Did," but I wanted to frame it differently. I like the idea of focusing on the positive - sharing some of the best things that happened in the last month. Inspiration: I love how both Maggie from Just A Couple More Pages and Jamie from The Perpetual Page-Turner always share some life updates in their month in review posts, and I also really enjoy how Leah from The Pretty Good Gatsby and Jen from Pop! Goes the Reader include pictures in their recap posts. Instead of listing everything I read in the month, I'm just going to highlight my favorite books that I read that month. But I'll still share the number of books I read - and possibly a page count, too. Inspiration: I like how Alexa from Alexa Loves Books just shares her top reads in her monthly retrospectives! My favorite quote from a book that I read that month. As a major quote lover, I can't believe I didn't thinking of doing this sooner. I have lots of quote books that are filled with all the words I've collected! Inspiration: Jamie from The Perpetual Page-Turner and Amanda from Late Nights with Good Books both include a favorite quote in their recaps. I share one in my reviews, so why not highlight my favorite? What I posted on my blog that month, which I've always included in my recaps. However, I think I'll just focus on what was most popular, what I had the most fun writing or what I most want to spotlight. 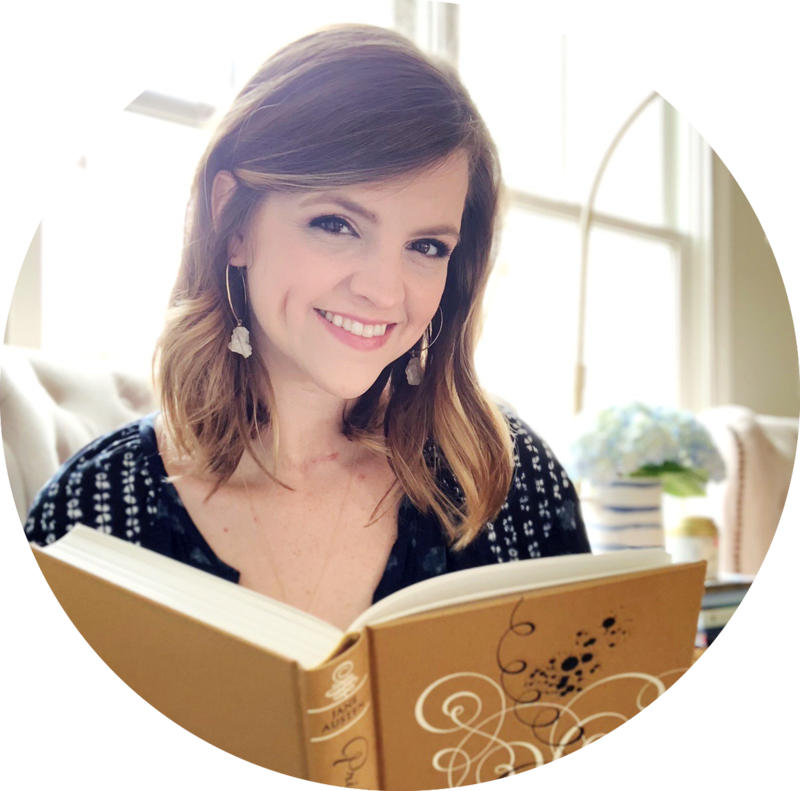 Inspiration: Brittany from The Book Addict's Guide and Jamie from The Perpetual Page-Turner both specifically highlight their most popular posts that month, which I love. I'm way more likely to go check out a few favorites rather than every single post if I've been slacking on my blog reading. A few favorite bookish blog posts that I've read and bookmarked. I could never do an entire round-up of what's been posted around the web, but I do love when bloggers highlight a few that inspired them! Inspiration: Asti, Kelley and Leah from Oh, the Books! do an incredible job in their giant weekly round-ups, but I also love how Jen from Pop! Goes the Reader selects a handful of bookish posts she found interesting. One or two songs that I kept on repeat throughout the month. I'm not a huge music person, but there's often an album or specific song that I just keep returning to throughout the month. I'll share that here! Inspiration: This is definitely something that Jamie from The Perpetual Page-Turner has perfected. I find so many new songs through her monthly recaps! My picks will never be as cool as hers nor could I ever create an entire playlist, but I still think it will be fun to include a little music in my recap. A movie, a TV show, a single episode, a YouTube video... I'm addicted to TV, can accidentally get sucked into a YouTube black hole, and am always looking for a great new movie. It'll be fun to showcase something that struck my fancy each month. Inspiration: I remember when Jen from Pop! Goes the Reader included television in her year-end recap. I loved the idea! And it's not in her recaps, but I also love whenever Jamie from The Perpetual Page-Turner highlights Netflix in her New to the Queue feature. The books I bought, was gifted or was given for review that month. This really won't change from how I've always done it in my monthly recaps. I decided to put it at the end of the post, however, since it tends to be pretty picture heavy. It may occasionally be in vlog form instead. Inspiration: After doing a few weeks of Stacking the Shelves in 2013, I decided to just include this information in my monthly recap post. So, this section was obviously inspired by that meme. What do you look for or include in monthly recaps? Are there any recaps you look forward to reading each month? I love how both Jamie and Jen share of bit of everything - books, music, tv, life - in their recaps. For them it works. If I tried it I have a feeling it would end up a complete mess, although I've now started making personal monthly playlists on Spotify. & Jamie's Netflix recs are too cruel (as if I don't have enough to watch)! I absolutely adore the idea of a top read/best book of the month. Judith also includes her pick in her monthly recaps at Paperiot. Overhauls are good! They're fun and I think they can even be necessary - weed out the parts that don't work, try out new things. I'm a little jealous of those who can find that perfect formula on their first try! And hours later I remembered a random detail I wanted to point out! Page numbers would be tricky I think, unless you only go by the physical copies. Goodreads is never right for me (it's saying the book I'm currently reading is 389 pages, when the book in my hands says 358) and my Nook tends to be a little wonky too. I don't know if it's because of the way the pages are laid out or the font size or what, but it seems like e-books tend to be around 200-300 pages when the print copies are usually double that. I think this is an awesome idea Hannah! I've discovered that I also pay way more attention to monthly recaps that include some personal stuff. Plus it is a great way for the blogger to asses a month in every aspect. So this will be awesome! I'm already looking forward to your June recap. I recently started included more personal things in my recaps, and I'm loving sharing. I changed up my monthly recap posts earlier this year as well. I found that what I was doing before was just a little too structured for me, and some months I I didn't always have something that feel perfectly in a category. But now that I've changed it up a little, I still tend to write about the same things, but if something didn't happen in a month I don't feel obligated to mention it. I will say that one my my favorite things to write about, and read about, are my "flashback" items. Each month I'll normally look through my archives and highlight a favorite post I wrote in that same month in the years prior. It's a fun way that makes me look through my archives, and I hope it shows readers some older posts they may have missed out on. Hooray for a refresher for your monthly recaps! I love whenever bloggers decide to "update" their regular features, to sort of bring it up to speed with where they're at and what they want to share in that feature. Your updates to the monthly recap are awesome (and thank you for the mention! <3).